I have always loved maps. I’m not sure why. It’s probably the different colors, the tales they tell, and how much you can learn about a particular place. 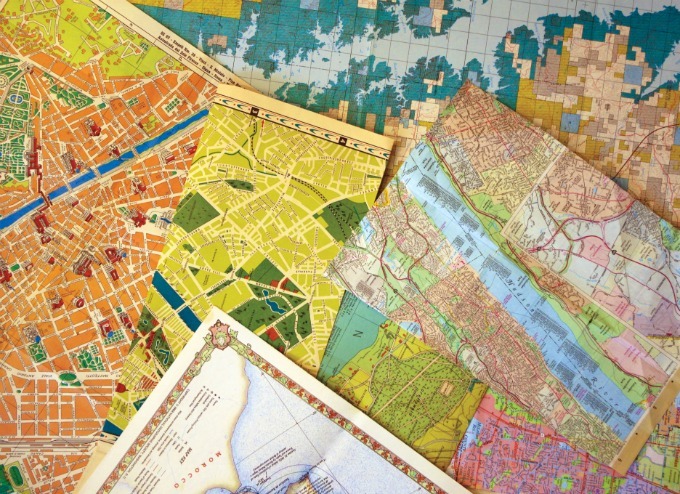 Maps appeal to my nerdy side, and my love of color and texture. 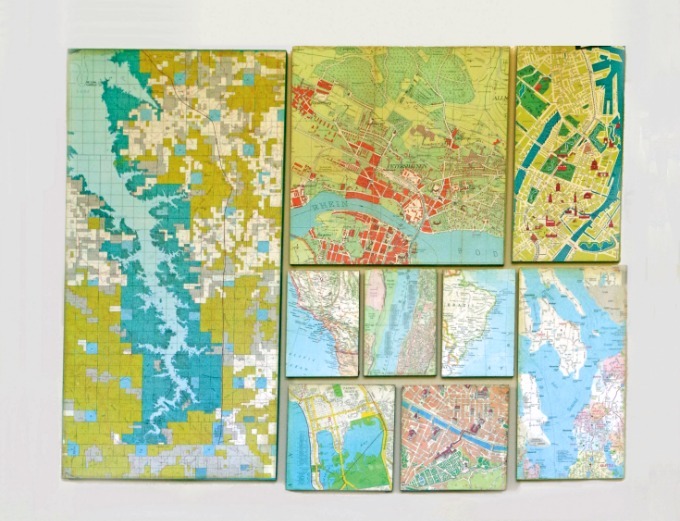 What better way to show off some of your favorite maps than with a Wall Map Gallery. This is a great way to showcase places you’ve been, or places you want to go, without it being just a series of tchochkies. Don’t get me wrong, I love tchockies and shadow boxes, but sometimes you want something a little more demure. Wouldn’t this be a great discussion piece in your home? It’s also a great way to fill a lot of space with color that’s not too expensive. Links may be affiliate links. 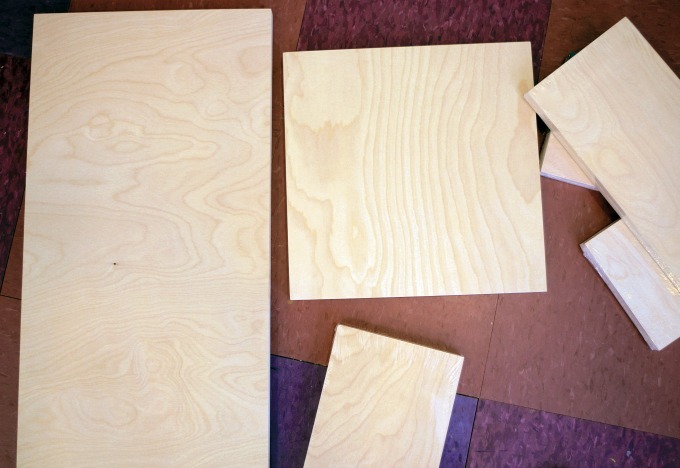 Wood Panels of various sizes. A 4×8 sheet of good quality plywood is perfect for this. White Glue. You can use PVA glue or a decoupage medium like Mod Podge. Brown Stamp Pad that has dye ink. Craft knife, like an Xacto. Burnishing tool. I like to use an old credit card or a hotel key card. Decide which maps you want to use. This may be the most difficult part of the process. You want to make sure that the maps coordinate, but are different, too. Figure out how much space you want to use for your wall map gallery, and sketch it out on paper. Remember, that for interest, you want a mix of different sizes, too. Either cut your panels yourself, or get them cut at the store. I prefer to get them cut at the store where I bought the wood. Sand the edges of the wood smooth. We don’t want any splinters! Trim the maps to fit the wood panels, using the metal ruler and your craft knife. Remember to choose the part of the map you’d like to display in your wall map gallery. You may want to number the maps and the pieces of wood to know which ones go together. 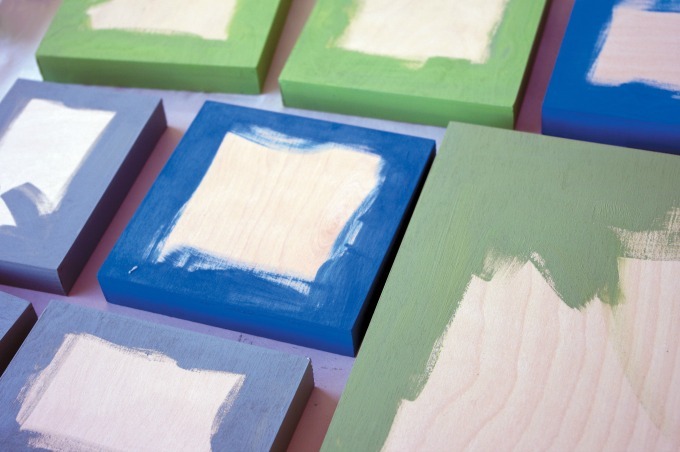 Paint the edges and sides of your panels with acrylic paint. You can do them all the same color, or mix it up a little. Let dry. Glue the maps to the wood, being sure to burnish them down well. 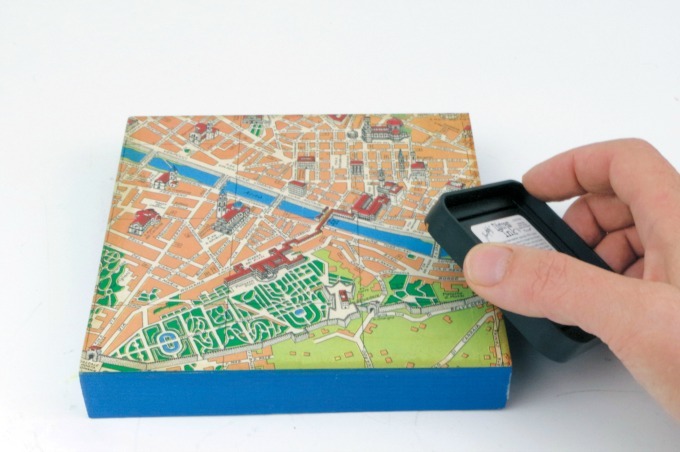 Cover with a piece of clean scrap paper when burnishing, so your maps don’t get marred. Check a couple times while they’re drying to make sure no edges are starting to peel. You may want to burnish them down a couple more times during the drying process, to make sure they stick well. Antique the edges of the wall map gallery panels with the brown inkpad. Let dry thoroughly – about 10 minutes. Spray with a clear sealer, or brush on a sealer. Let dry thoroughly. 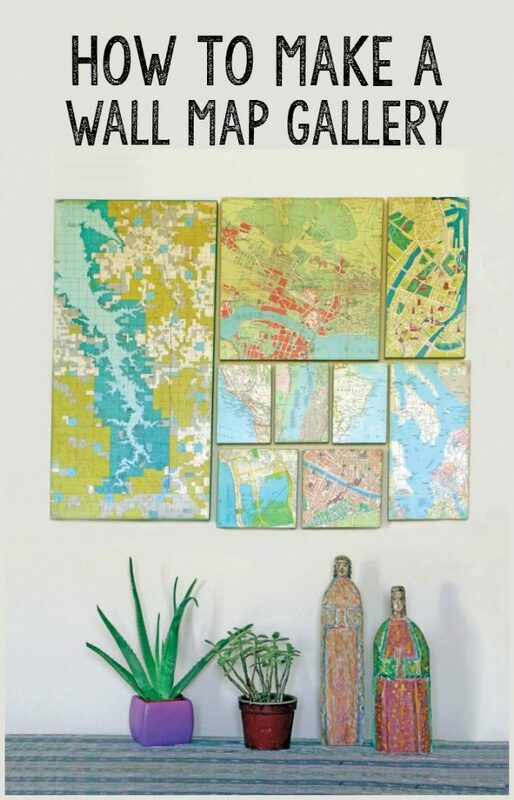 Add picture hanging hardware and place your wall map gallery. Stand back, and admire your handiwork.